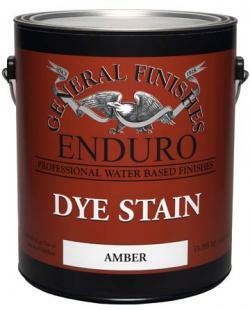 - Unique, water based, ultra penetrating stains designed to work like solvent-based stains. - The deep rich tones enhance the wood grain and produce vibrant colors. High solids content, use with all GF topcoats, fast firm build, easily sandable and fast drying. Enduro Pre-Cat Urethane utilizes the latest resin and cross linking technology to provide maximum toughness, durability and water resistance.